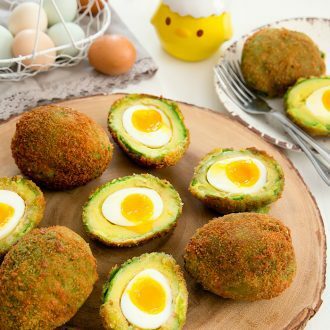 Whole soft boiled eggs are stuffed inside avocados. The avocados are then covered in panko breadcrumbs and cooked until crispy. 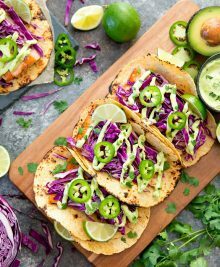 These make for a very fun brunch idea! 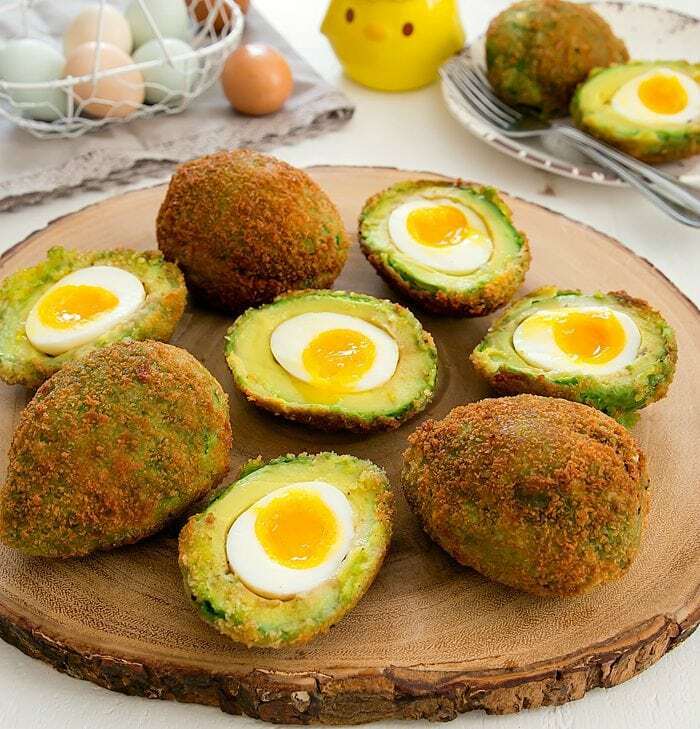 With Easter right around the corner, these crispy avocado eggs have been churning in my mind for a few weeks now. And I’m so thrilled with how they turned out. They are a bit complicated and a bit messy. My kitchen was not a pretty sight after I was done. It’s not something I’d make often, but it does work for a special occasion brunch. And I really love how they taste. 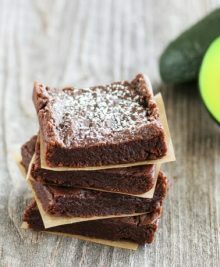 The avocados taste like avocado fries–slightly warm, super creamy with a crispy exterior. And of course I’m all about the runny eggs. 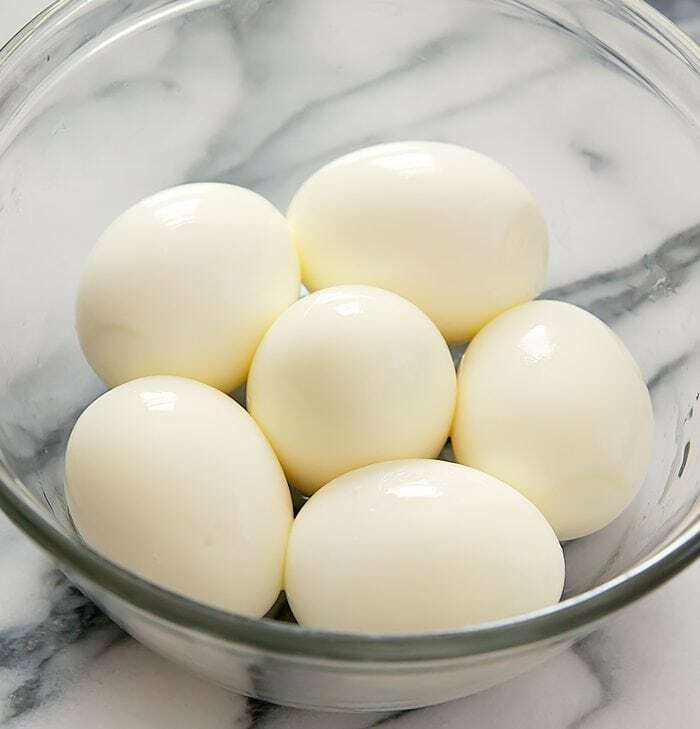 If you don’t like runny eggs, you can also make hard boiled eggs as well. I crisped these up by pan frying them. I didn’t want to deep fry them because I was afraid the avocados would fall apart. You can also bake them, but it will take longer and I was worried that the eggs yolks would cook all the way through and I also don’t like the bitter flavor avocados develop when they’re in the oven too long. 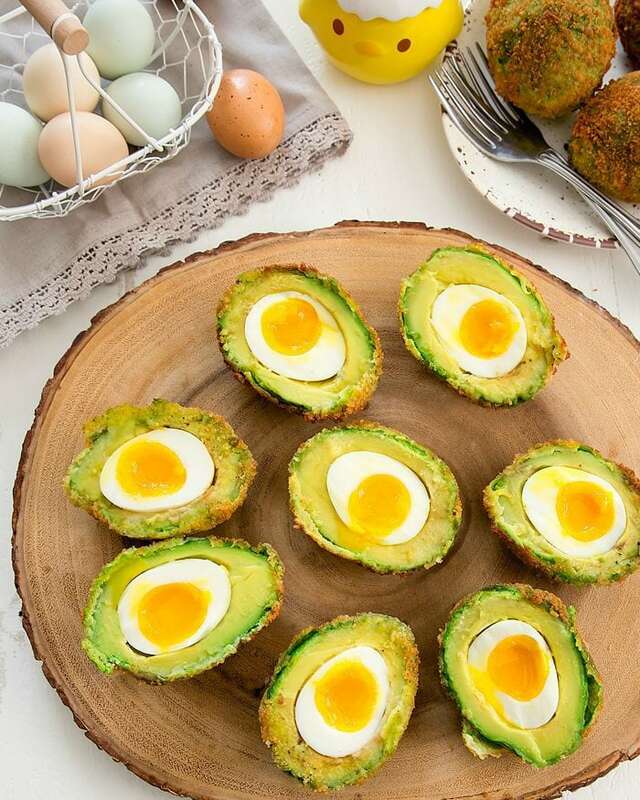 Soft boiled eggs are stuffed into the middle of avocados. The avocados are then covered in panko breadcrumbs for a crispy finish. 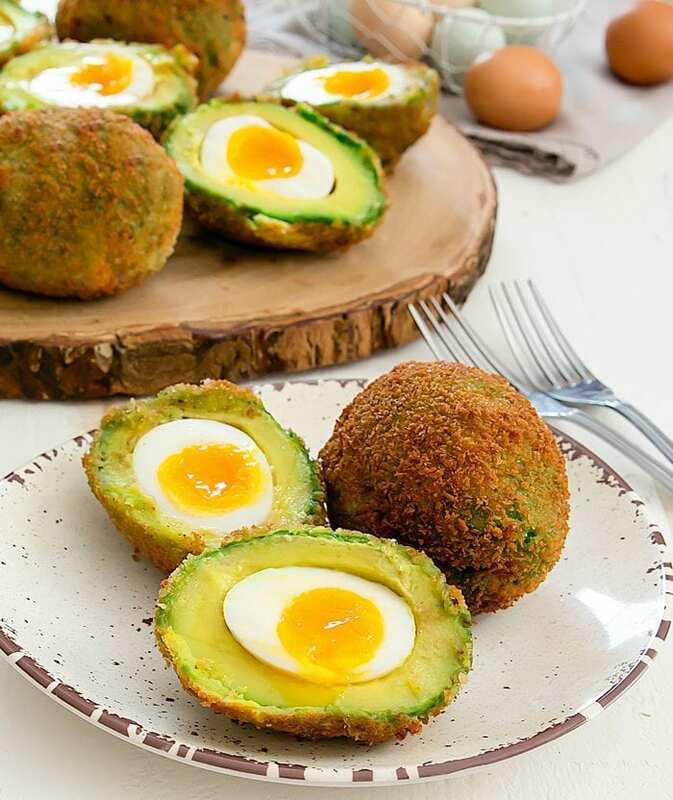 The end result is a fun brunch dish where guests will cut open their crispy avocados to reveal an egg in the center. 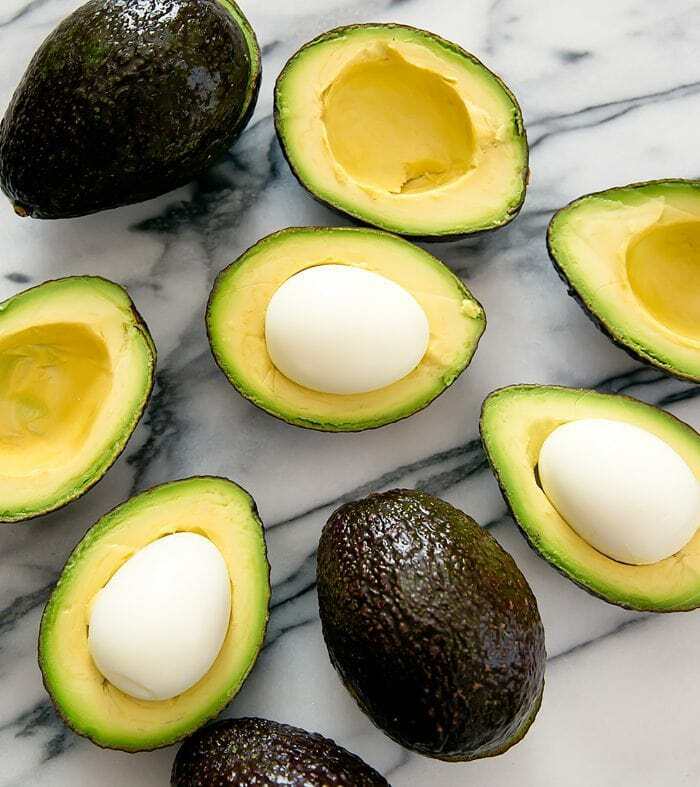 Take one of your soft boiled eggs and place it into an avocado half. Make a few marks with a spoon to determine how much avocado flesh needs to be removed to fit the egg snugly inside. Then carve out just enough avocado flesh to fit your egg in. Do the same with the corresponding avocado half. You want to make sure you're going to be able to close the avocado with the egg inside. Repeat with remaining avocados. Place eggs into the avocados and close them. Gently peel the skin off of your avocados. Place whisked eggs in a wide bowl. Place flour in a separate wide bowl. Place 1 cup of panko in a third separate wide bowl. In a large skillet, add between 1/2 inch to 1 inch of oil and bring to medium high heat. Holding your avocado closed, coat it with egg and then flour. Then coat with egg again. Make sure that all the loose eggs drippings have dripped off before rolling it in panko because you don't want the panko to get wet. If the panko gets too moist, it won't stick to the avocado. You may need to press on some of the panko to get a thick coating around your avocado. Place avocado into your skillet. Cook on all sides until the exterior is a dark golden brown. 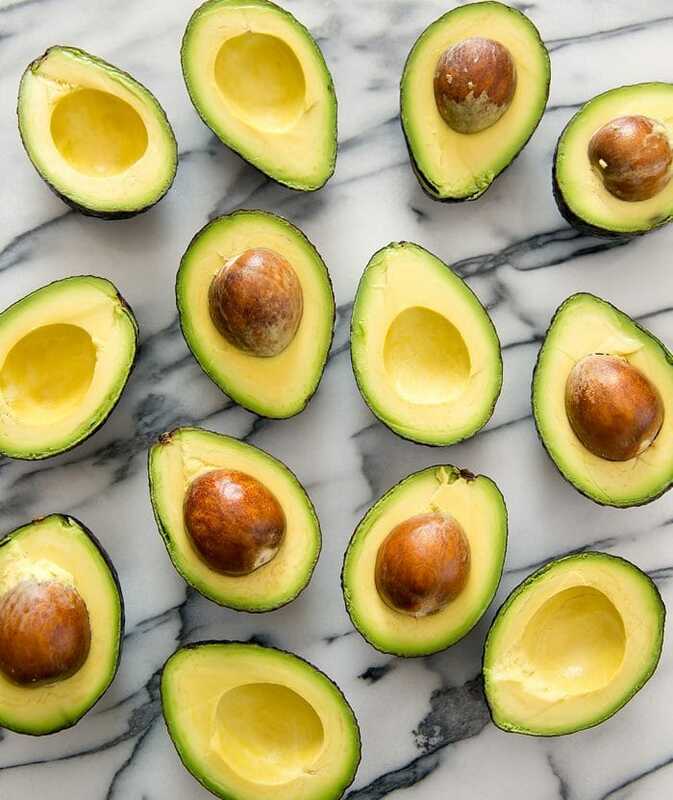 Once the coating begins to cook, it should hold the avocado halves together. When avocado is done, let it rest on a plate covered with paper towels to absorb excess oil. Repeat with remaining avocados. You can cook a few at a time, depending on how many your skillet will hold. When you run low on panko, add in the second cup. I don't recommend you adding both cups at once because the panko crumbs will eventually get moist from the egg coating and won't stick as well. I like to use my Instant Pot to cook the eggs - check out my Instant Pot Hard and Soft Boiled Eggs post for more details. For this recipe, I cooked my eggs for 2 minutes. These look yummy, but what I really want to know is the cute yellow chick/egg between the basket and the small plate – what is it? haha, it’s a sugar canister. One of my many random buys (I think from Daiso). I bring it out every year around Easter. I love his cute little eggshell hat. 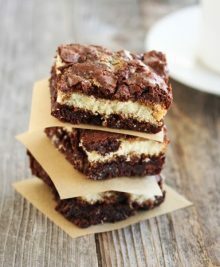 OMG that looks fab and also tastes delicious I am sure!! it was so hard to stop myself from eating them all! I have the tiny plate of the yellow chick (Daiso too). These look very delicious. I need an Insta Pot , lol. Instant Pot is so helpful for eggs! And other stuff, but I really like it for eggs.